There was a time when Luka Doncic was just starting. Take a trip down memory lane with junior Doncic! There was a time when the Slovenian sensation had just started his professional career with Real Madrid, and no one knew he would’ve become the center of discussion. Too bad, if you ask us. Doncic had shown signs of excellence from an early age, when he dominated the ACB Minicopa in 2013, earning his first (of the many) MVP honor. 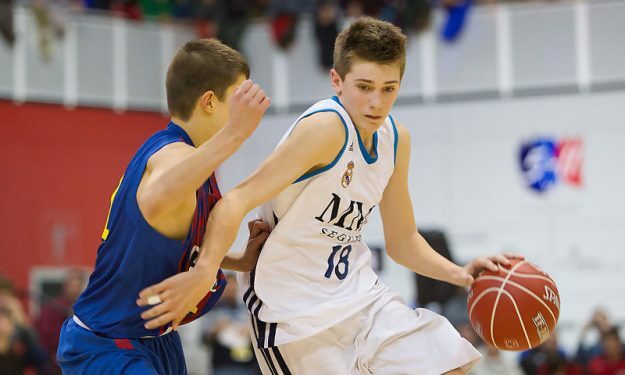 Doncic was a big star from day one, dominating the competition, in which his Real Madrid took the title. With 25 points and 33 points, he dazzled in the final against FC Barcelona, finishing as MVP. Who would’ve thought that his career would elevate to incredible heights only a few years after?